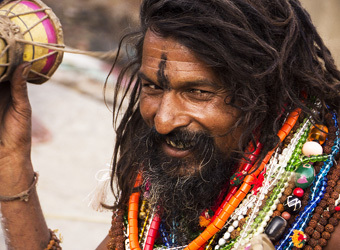 A Private 15 day India cultural itinerary with International and domestic airfares, accommodation, transfers, guides, visas, meals & more! Follow in the bejewelled footsteps of Maharajas past, as you discover a world rich in culture, romance, history and holiness. From opulently luxurious palaces and temples to remote wilderness landscapes, this exceptional journey will reveal the old and new soul of Royal British India. Begin your imperial journey in India’s colourful capital of Delhi, exploring its heaving sights on rickshaw before travelling to the ancient holy city of Varanasi to cruise on the fabled Ganges by boat. This isn’t a city you see, it is a city you feel. It’s noble yet dilapidated Victorian Gothic architecture, Bengali spice markets, maze-like alleyways and Buddhist worshippers reflect along the bustling river and ultimately, infuses all of your senses. Cast your eyes on the Iconic Taj Mahal palace in Agra before travelling to the “Pink City” of Jaipur and the “Blue City” of Jodhpur. Stare at your reflection in one of Indian’s most romantic cities, Udaipur, the city of Lakes as you glide across Lake Pichola. A short flight takes us to the bustling city of Mumbai to witness the splendour of the Elephanta Caves and the Gate of India. We make our way down south where the tropics infuse our senses and the houseboat which takes us down the Allepey waterways passes through a paradise of mangrove forests, emerald green paddy fields and coconut groves interspersed with enchanting waterways and canals adorned with white lilies. Discover North-South India from behind the tourist curtain and immerse yourself in the romantic spirit of this timeless destination. 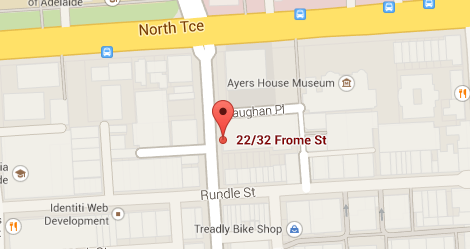 Depart Adelaide , fly to Delhi. Meeting and assistance on arrival at Delhi international airport by our representative and transfer to hotel. Overnight at hotel in Delhi. Breakfast at hotel. Morning proceed for your guided tour of OLD DELHI visiting Jama Masjid, a Short Bi Cycle Rickshaw ride in narrow lanes of famous Old Delhi markets. Drive thru Red Fort, your last stop of tour in Old Delhi is visit to Raj Ghat. Afternoon continue your tour of NEW DELHI drive thru India gate, President House, Parliament house and other Government Buildings. Later visit to Qutab Minar , LAKSHMI NARAIN TEMPLE and enjoy your shopping in Delhi before returning back to hotel. Overnight at hotel in Delhi. Early Breakfast at hotel followed with check out. Transfer from hotel to Delhi airport in time to reach 75 minutes prior and board domestic flight for Varanasi . Assistance on arrival at Varanasi airport and transfer to hotel. Afternoon guided tour of city visiting Benaras Hindu University. Later proceed on a Walking tour visiting famous Hindu Temples and in the evening , witness the evening AARTI (Prayers) at the Ghats. The Ghats also provide a good option for photography with serene temples and their bustling courtyards creating a perfect backdrop. Overnight at hotel in Varanasi. An early wake up and proceed for a Boat ride on the River Ganges. 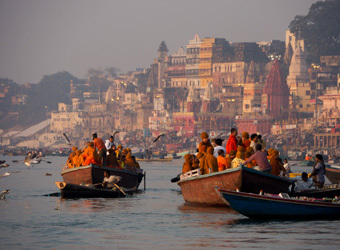 There are number of temples on the banks of the Ganga River in Varanasi. It is believed that people are cleansed physically, mentally and spiritually at Ganga Ghats. It is at the Ganga Ghats where we see life and death together. Return to the hotel for Breakfast. Later transfer to airport to board flight for Delhi (FLT # 9w 724 Dep 1440 Hrs). Assistance on arrival at Delhi domestic airport and drive straight to Agra (approx 4 ½ Hrs Drive). On arrival in Agra around late evening transfer to your hotel. Overnight at hotel in Agra. This morning is a special day for you when you enjoy a guided tour of the TAJ MAHAL at Sunrise. 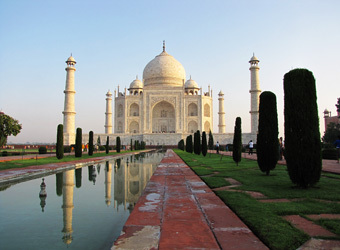 Taj Mahal of India – “the epitome of love”, “a monument of immeasurable beauty”. The beauty of this magnificent monument is hard to describe. One looks at, not just its phenomenal beauty, but the thought foremost in your mind is the immense love which was the reason behind this construction. The Mughal Emperor Shah Jahan built this monument in memory of his beloved wife Mumtaz Mahal, with whom he fell in love at first sight. Enjoy some private moments on your own at the TAJ MAHAL. Return to the hotel for Breakfast. Check out and proceed on a guided tour of Agra Fort. After the tour of Agra Fort drive to Jaipur (approx 05 Hrs Drive). Assistance at hotel on arrival around later evening in Jaipur by our representative. Overnight at hotel in Jaipur. Breakfast at hotel. This morning proceed for your guided tour of Amer Fort enroute get down at Hawa Mahal (Palace of Winds) for a Photo stop. On arrival at Fort enjoy a fantastic Elephant ride (subject to availability) to reach the top of Fort. Spend you time enjoying guided tour of Amber Fort. Later return back to your Car / Coach to continue your tour of this colorful Pink city visiting City Palace & Observatory. After the sightseeing remaining day is FREE to enjoy exploring or Shopping at this Pink city on your own famous for Gems, Jewellery, Block Printing Textile, Blue Potteries, and Carpets etc. Overnight at hotel in Jaipur. Early Breakfast at hotel followed with Check out. Drive to Jodhpur (approx 06 Hrs drive). Assistance on arrival in Jodhpur at afternoon and transfer to hotel. This afternoon proceed for a guided tour of Jodhpur city visiting Mehrangarh Fort and Jaswant Thada. Evening return back to hotel. Overnight at hotel in Jodhpur. Breakfast at hotel. Osian is about 58 km from the city, an oasis in the desert. Fifteen beautifully sculptured Jain and Brahmanical temples dot the landscape of this ancient township. The Camel camp at Osian is a exclusive destination located on the first sand dune of the famous Thar Desert of Rajasthan. With expansive views of the vast desert on one side and the intricate temples of Osian on the other, this camp, is the first of its kind in India, The camp offers you an easy access to the local desert villages. Venturing out on camel you can meet the proud local tribes, the Bishnois and Bhils, potters and weavers and shepherds in their natural surroundings, not to mention the various varieties of desert wildlife such as blue bulls, gazelles, foxes, peacocks and partridges to name but a few. Overnight at the Camel Camp. Breakfast at hotel. Later leave by surface to Udaipur (260 Kms / approx 5 hrs drive). On arrival transfer to hotel.This afternoon is at leisure in this beautiful and romantic city of lakes Udaipur: This evening enjoy a Boat ride at Lake Pichola. This charming Pichhola Lake is fringed with gardens, havelis, hills, ghats and temples. The lake was enlarged by Maharana Udai Singh II. The two islands on the lake, Jag Niwas and Jag Mandir, present a magnificent sight. Boats leave from the (City Palace jetty) and take you on a trip around the lake including Jag Mandir and other ghats around the lake. Overnight at hotel in Udaipur. Breakfast at hotel. Morning Free OR enjoy Spa at this beautiful Hotel. Check out from hotel at 1200 hrs and proceed for your guided tour of Udaipur city visiting City Palace, Saheliyon ki Bari, drive past thru Pratap Samarak and Fateh Sagar Lake. At a convenient time during evening transfer to airport to board Flight for Mumbai. (Flt 9w 3406 Dep 1925 Hrs). 2110 Hrs Assistance on arrival at Mumbai domestic airport and transfer to hotel. Overnight at hotel. Breakfast at hotel. Morning proceed for a guided tour of Elephanta Caves. The afternoon tour of Mumbai includes photo stop at Gateway of India, drive by Dhobi Ghaat, visit to Prince of Wales Museum and Mani Bhawan. Overnight at hotel in Mumbai. Breakfast at hotel. Transfer from hotel to airport to board flight for Cochin ( Flt # 9w 401 Dep 1035 hrs ). 1220 Hrs: Assistance on arrival at Cochin airport and transfer to hotel. This afternoon enjoy a guided tour of Cochin city & Kathak Dance performance. Overnight at hotel in Cochin. Breakfast at hotel. 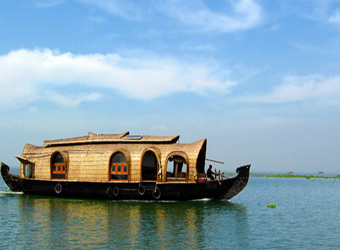 Transfer from hotel to board Houseboat Afternoon, once all guests are on board Houseboat sail along the main waterway on Vembanad Lake and enters the Alleppey canal. Lunch will be served on board. The cruiser sails along the scenic waterways for four hours and returns to the Vembanad Lake in time to watch the sunset. Later in the evening, guests enjoy a performance of the highly ritualized “Kathakali” dance which tells stories from the ancient Hindu epics – Ramayana and Mahabarata. Performances begin with the application of elaborate makeup which is based in traditional Ayurvedic principles. The Boat will anchor for the night at the jetty. Dinner on board. Overnight on board House Boat. Early morning boat will sail from the Vembanad Lake jetty and head south, towards Alleppey. Breakfast will be served on board. The vessel will enter the waterways of the Pamba river through the Alleppey canal. Disembark from Houseboat and continue your drive to Kumarakom. The village of Kumarakom is a cluster of little islands on the Vembanad Lake, and this small water world is part of the Kuttanad region. Kumarakom an unbelievably beautiful paradise of mangrove forests, emerald green paddy fields and coconut groves interspersed with enchanting waterways and canals adorned with white lilies. On arrival check into your hotel. Rest of the day at leisure to enjoy the natural beauty of Kumarakom. Overnight at hotel in Kumarakom. Day 15: Kumarakom – Cochin – Mumbai Departure. Breakfast at hotel. Check out and drive to Cochin airport ( approx 2 ½ Hours drive ). On arrival connect your domestic flight to Mumbai. Arrive Mumbai and transfer to International terminal to connect for your onward journey International flight back to Australia. End of our services. .
14 Nights Accommodation at hotels mentioned in Itinerary along with Room Category. Day/Date Variations: Due to airline flight schedules day of arrival and day of departure may vary depending on your city of departure. Accommodation will be provided in hotels mentioned or alternate hotels in the similar category. T&C: All prices shown are per person based on twin share and include airfares, all and taxes. Prices and itineraries correct at current time but are subject to change. CRUISE THE BACKWATERS OF KERALA, COCHIN, INDIA. Board a traditional houseboat which will take you down the Allepey waterways through a paradise of mangrove forests, emerald green paddy fields and coconut groves interspersed with enchanting canals adorned with white lilies and palm trees. marble mausoleum commissioned in 1632 by the Mughal emperor, Shah Jahan to house the tomb of his favorite wife, Mumtaz Mahal.